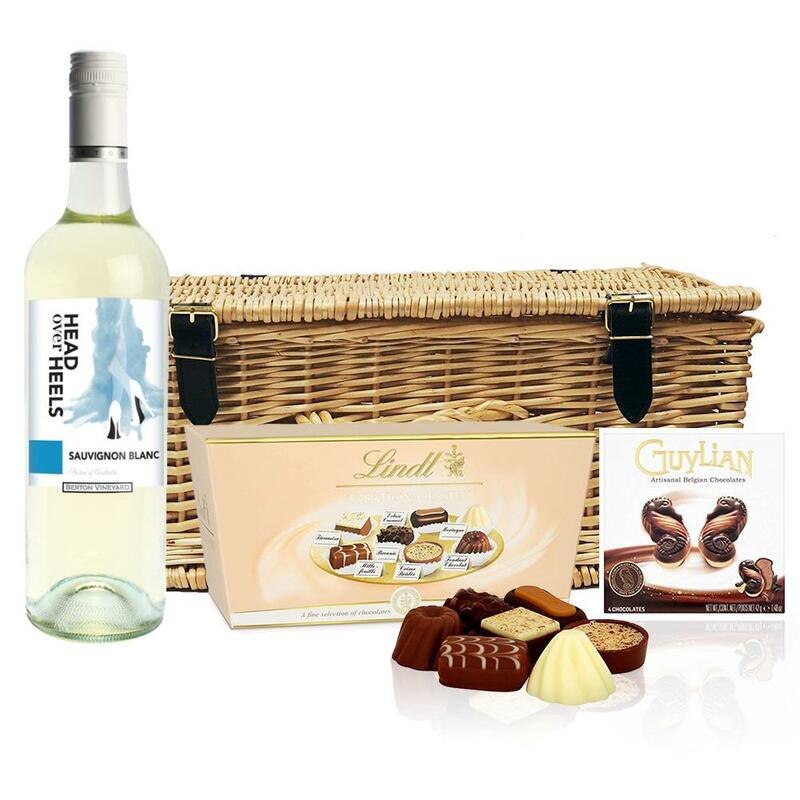 Head over Heels Sauvignon Blanc and Chocolates Hamper A delightful gift of Head over Heels Sauvignon Blanc along with a box of Guylian Artisanal Belgian Chocolate Hearts 42g and Belgid'Or Fine Belgin Choclates (175g) all packed in a wicker hamper with leather straps lined with wood wool. All gifts come with a gift card with a message of your choice. This fresh Sauvignon Blanc displays dominant aromas of freshly squeezed lime and grassy notes with hints of green capsicum. Sweet lemon and lime flavours bring softness to the palate while hints of snow peas add a savoury aspect with a long crisp finish. This product is hand packed onsite by Bottled and Boxed, and is not affiliated with any other brand. 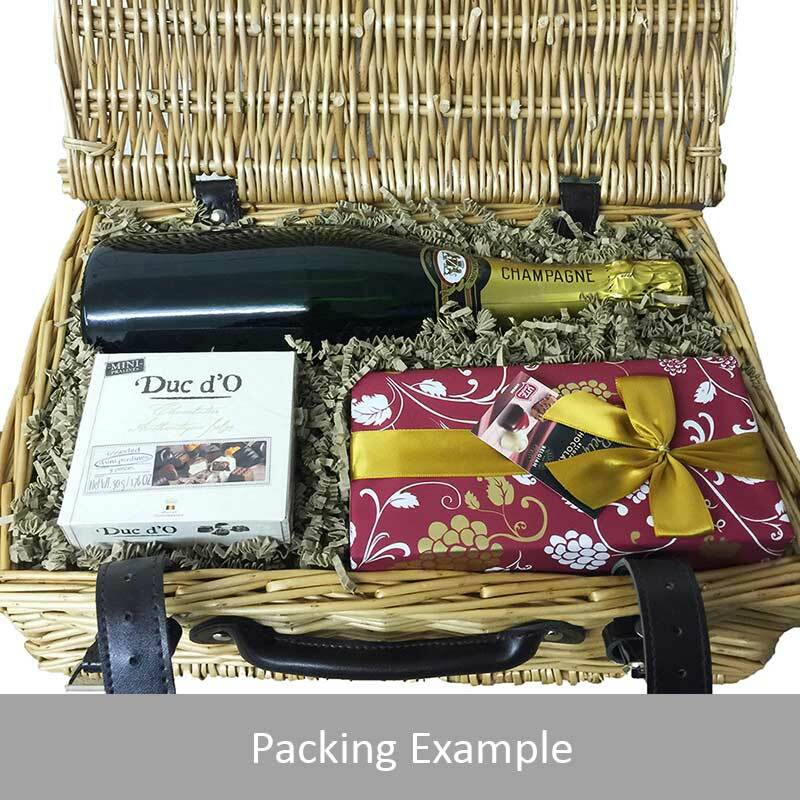 Bottled and Boxed is responsible for this product combination/set.